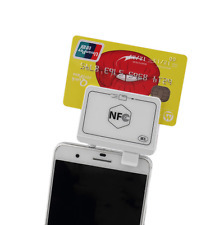 The device can work for more, Magstripe, IC, NFC and Psam cards Read, write and wipe ,It can support system window98/2000/10/XP/VISTA/7/8, but doesn't support MAC OS..
880 design with NFC cards reader that can apply more situations. And it can read and wrote over 10000000 times.. 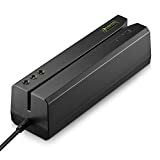 The design of High / low resistance to magnetic stripe (300-4000 OE) function makes it to read and write to all three-track magnetic heads..
OSAYDE provides one year warranty for main parts. FCC CE standard. You just need to "add to cart"..
OSAYDE , known as a worldwide registered brand owned by HTT Inc. is one of the most desired brand in North America, Europe and Asia. Model: 880II It is a not only reader for Magnetic cards, IC cards, NFC cards and PSAM cards, but also can write. 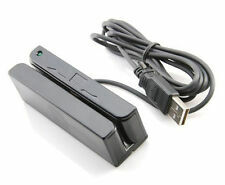 It communicates with a host computer or other terminal using an USB interface. It is widely used in industrial, commercial, telecommunications, taxation, banking, insurance, medical and a variety of fees, stored value and query management system. It supports multiple operating systems, to provide a full range of dynamic library function, development notes, points. DLL provides convenient secondary development. 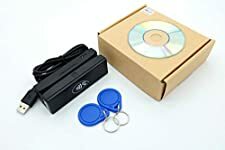 Package: 1X Magnetic Card Reader/Writer, 880II Demo Software, User Manual 1X Cleaning Card Please add our facebook ID:@osayde for more promotion and after sale service. More lovely surprise is waiting for you. 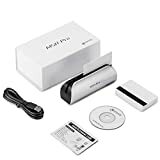 The world's only bluetooth VIP card reader writer..
Come with full-version reading writing software(Newest software V4.01). 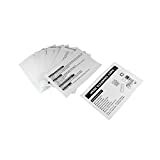 With 20 blank white cards, software disc.. 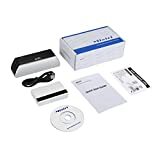 Original OSAYDE Cards Reading Writing Product..
Free 20 blank cards, power adapter.Read, Write, Erase 3 Tracks, High and Low Coercivity.. 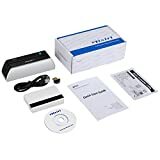 This device can scan by reading info (hi/lo connectivity) differing for Brand and model.This reader writer is trying to make a business, security, and even negotiate dedication skills, very nice work.. 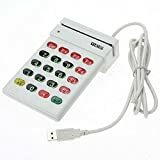 This magnetic swipe card reader write, is very applicable to use, not on a everyday basis, but intentionally on and over security-biased preparation and apprehensions, like credit, debit and even gift cards.You can download from https://www.dropbox.com/sh/r9w6h071ju0gp8i/AAD96hwYvqwjUxp_u8iGlcNra?dl=0. 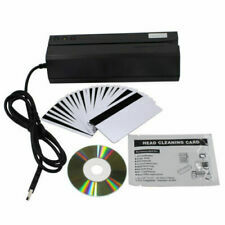 OSAYDE had rich experience in Magnetic Swipe Card Writer for more than one decade.. Product Description OSAYDE?, known as a worldwide registered brand owned by HTT Inc. is one of the most desired brand in North America, Europe and Asia. OSAYDE¡¯s technical team focuses on smart card read device to offer high cost effective readers to market. 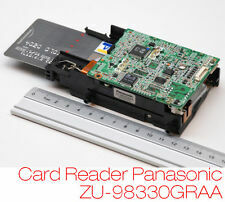 OSAYDE presents different kinds of Card readers to support the working. 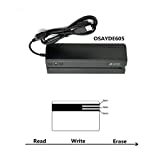 OSAYDE605 Reader can also read and write more quickly and efficiently. 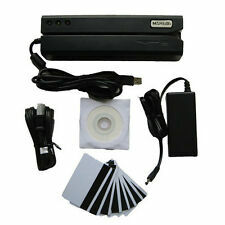 OSAYDE605 is a standard magnetic stripe card reader writer. It is ideal for access control, time keeping, banking, ID recognition, credit verification and related applications. 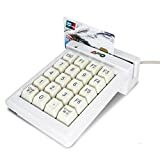 In fact, wherever a magnetic stripe ID or transaction card is used, one can find a related use for the versatile, user-friendly OSAYDE605 reader writer can read and/or write high or low coercivity magnetic cards. It can encode and verify up to 3 tracks of data simultaneously. Application: ¨C secure personal identity verification ¨C online micro-payment transactions. ¨C access control ¨C e-payment ¨C e-ticketing for events ¨C mass transit ¨C network authentication. Package: 1). 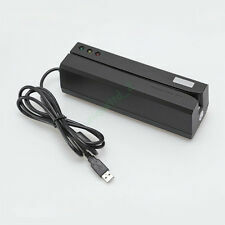 1X Magnetic Card Reader/Writer, OSAYDE605 2). 1X USB , User Manual 3). 1X Power adaptor: AC 100~240V in / DC 12V, 2.2~3A out. 4). 1X Clearning Card 5). 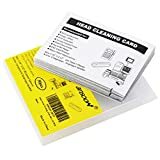 20 Free Blank HiCo Magnetic Card Please email us: sales*osayde.com or add our what's app:8613823729430 for after sales issue. We are glad to assist with any questions, please feel free to contact us.As a manufacturer, bulk order is very welcomed.If you are happy with our service, a positive feedback will be much appreciated. If you are not happy with our service, please contact us. We will do everything in our power to make you happy.